An untouched slice of paradise, Vanuatu is sprawled along 90 kilometres of the South Pacific region and is an archipelago of more than 80 tropical islands. With exotic coral reefs and soft white sand beaches, ancient villages and world class cuisine, Vanuatu is a truly unforgettable place to visit. The diverse culture can be seen and experienced throughout the island with enthralling performances, traditional music, and historical art. There are a myriad of ways to immerse yourself in Vanuatu’s amazing culture. 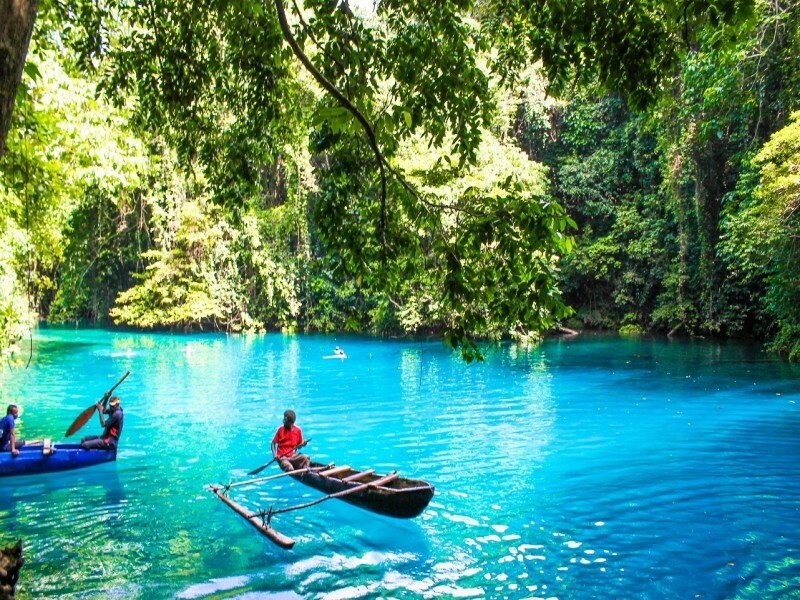 Situated near the equator, Vanuatu enjoys a year round tropical climate, meaning you can enjoy this enchanting destination whenever suits you! The warmest months are between December to April and this can also bring showers. However, most rain can be expected morning and afternoon, leaving you with a day full of sunshine. This magical experience of culture, cuisine, and pristine landscapes will feel a world away, yet flights to the main island of Port Vila are approximately 3 hours from Brisbane, Sydney and Auckland. Many budget airlines now fly direct to Port Vila and hence flights can often be picked up quite inexpensively. 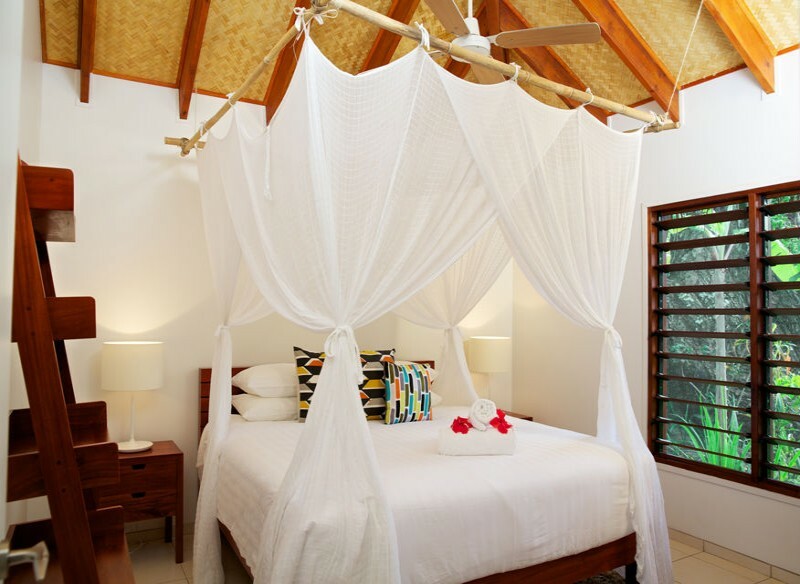 One of our Hightide Top Picks for Vanuatu accommodation that’s drizzled in extravagance are the stunning Vale Vale Villas. 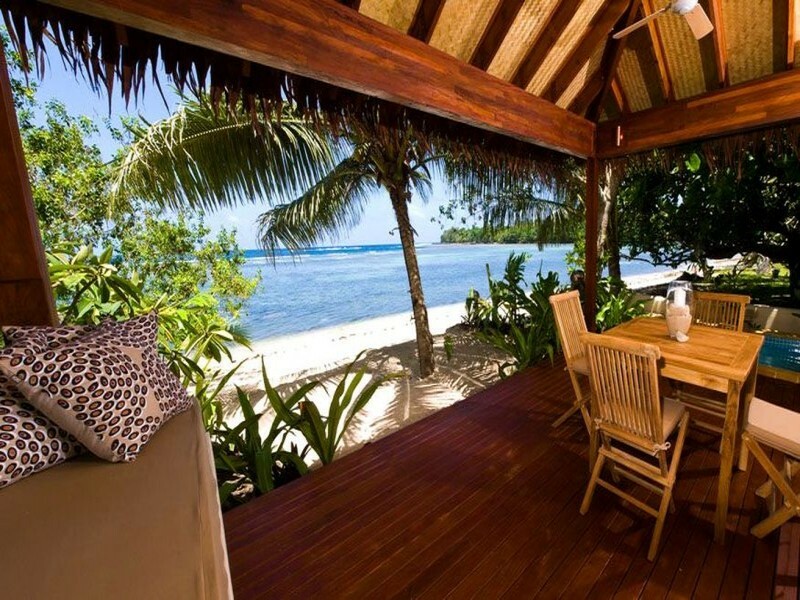 The Villas are positioned on the Western shore Efate and only a 10 minute drive from Central Port Vila. 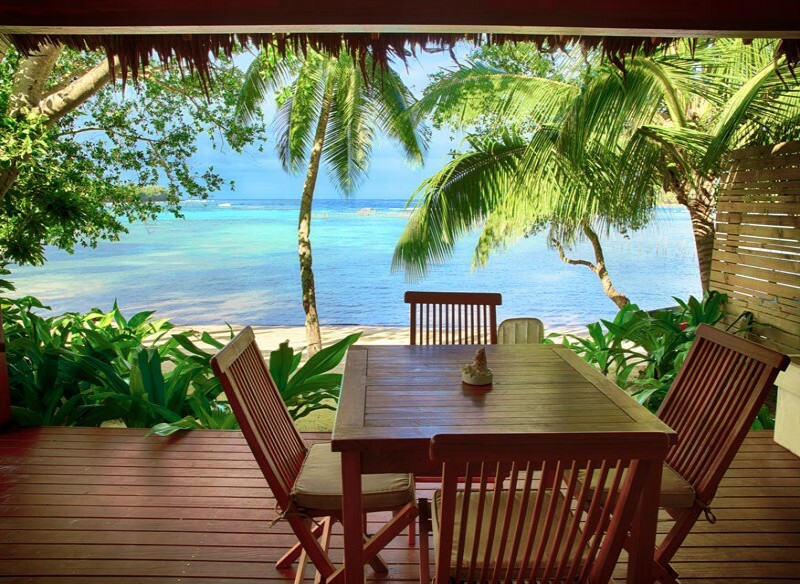 Vale Vale Villas offer an incredible experience with your own private apartment opening just steps away from the white sandy beaches and turquoise waters framed by luscious rainforest including palms, frangipani trees and fragrant wild orchids. The self-contained 1 bedroom villas boast king beds, fans as well as air conditioning, luxuriously spacious bathrooms, Free WiFi so you can stay connected to loved ones, fully equipped kitchens, landscaped courtyards, flat screen TV’s, Ipod docks, laundry service, daily maid service, and the best part – your own private plunge pool! 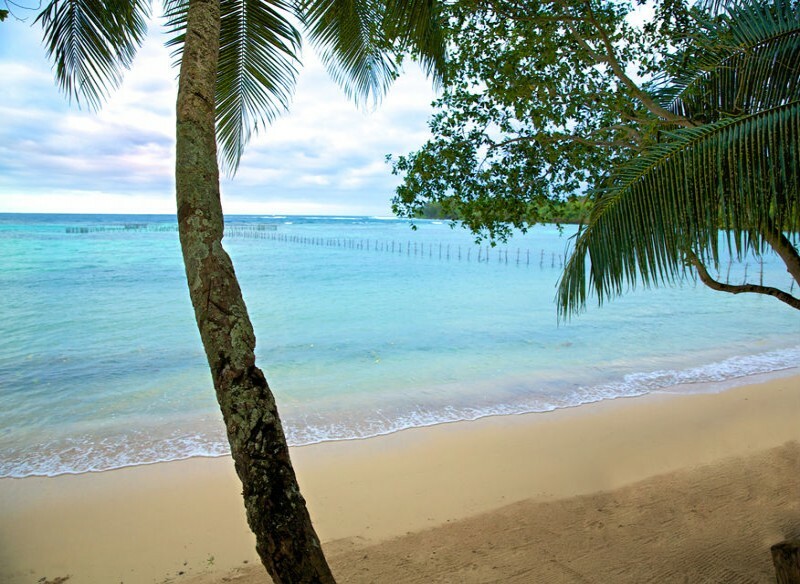 Vale Vale Villas specialise in adult only accommodation, so you can truly relax and let go knowing your tropical escape won’t be disturbed by little excited voices or unexpected early mornings. Efate is situated perfectly for a range of adventure, exploration, and historical tours and activities, so whether you want to unwind on beautiful golden shores, jump on a Jet Ski or experience a cultural dance, the choice is yours. Vanuatu is known for its fantastic fishing opportunities where you can test your skills against Marlin, Albacore, Wahoo and plenty more. The live performances that combine culture and nature through dance, music, and fire are something not to miss! Another favourite pastime for visitors is exploring one or several of the 83 Islands and the variety of experiences around them including sunset cruises, snorkelling, fishing, scuba diving and kayaking trips. An honorary part of the Pacific Ring of Fire, Vanuatu sits atop the meeting place of two of the earths’ tectonic plates meet, meaning you can get your ultimate explorer personality out and investigate the incredible volcanoes. Vanuatu is a ship that is under your command, take the fiery high seas and enjoy an adventure-riddled experience with mornings on top of volcanoes, afternoons Jet Ski racing, and nights enjoying beachfront dinners, or cruise through the gentle estuaries and enjoy lazy days on your beachfront deck with a good book and delicious cocktail, lunch time exploring the local markets and finding unique trinkets, with nights relaxing in your own personal plunge pool. Hightide are handing you the ship, you choose how you’d like to steer her. Call us on 1300 769 765 to organise your getaway today!